In the many discoveries and developments that there is in the beauty industry, you’d be surprised to hear about a skin care item such as Malunggay lotion. 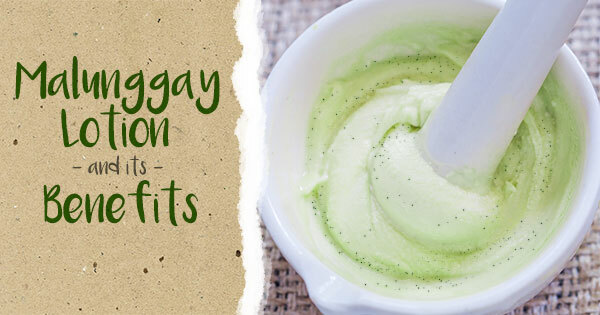 What is it, what can malunggay lotion offer that’s different from regular lotion? Lotion has found its way into the circle of staples of a woman’s me-time. It may be because of the pampered feeling it gives off or for the skin concerns it tackles. Primarily for restoring the skin’s natural oils or moisture, lotions are trusted to provide relief to or correct a few skin woes such as rough patches, flaking and dehydration. As with other personal care products, however, lotions, its manufacturers and skin specialists are continuously questioned about the safety of using them. Chemicals, especially if there are too many of those unfamiliar names on the list of ingredients, are triggers for questions, and consumers have every right to be smart with their purchases. Malunggay, or internationally recognized as Moringa tree, is packed with nutrients (such as calcium), vitamins (A, B, C, D, E), and minerals (magnesium, manganese, copper, iron, silica and zinc). This makes Malunggay highly nourishing with hydrating and cleansing properties for the scalp, skin and hair. Read more about malunggay and its many benefits here. So, what does this add to your regular lotion? Combine a trusted skin care essential with potent natural oil, what you get is a strong daily skin conditioner that protects your skin from the elements and helps it bounce back or keep its supple state. Dermatologist and clinically tested, Moringa-O2 harnesses the natural nourishing and rejuvenating benefits of moringa (malunggay), olive oil, and omega (from sunflower oil) to provide you with a skin care system that’s safe to use every day.